The SMS, Inc. Tech Center in Columbus, Indiana fulfills several important roles. It functions as a showroom where potential customers can view machinery and gain a hands-on appreciation for the equipment. The Tech Center is also a test cutting facility. 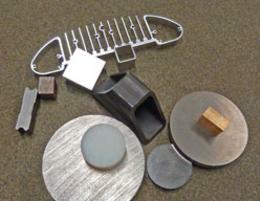 Customers are welcome to visit, bring in their own material, and see test cuts being conducted first-hand. Of course, not everyone can make it to Columbus, IN so we are happy to receive your material and video the process. We can then return the cut samples to you along with a DVD. Tech Center machines are generally sold after 2 – 4 years. These machines have never been in production and to all intents and purposes are ‘as new’. They are offered out at discounted prices but still carry our full 12 month parts/labor warranty. 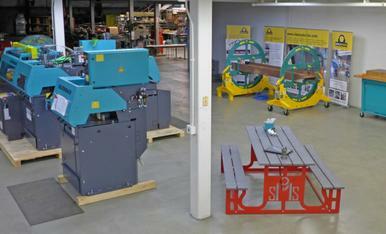 Demand is high for these machines do keep an eye on our ‘Special Deals’ page.